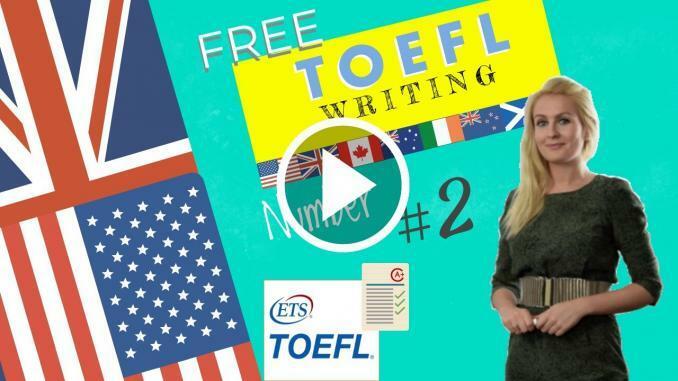 This introduction to TOEFL writing topics shows you that the writing section contains 2 types of questions, the integrated task (combining listening, reading, and writing, lasting 20 minutes) and an independent writing task (lasting 30 minutes). You are allowed to take notes on the reading passage during the integrated writing task on the day of the TOEFL exam. Transition words make your writing easier to understand and create a link or relationship between two sentences and ideas. Be certain that you understand their meanings before you use them look at the subtitles. Look out for a slight, but significant, difference between two apparently similar words. Use transitions in context in a sentence or paragraph to make the relationships between ideas clear. There are different reasons why. There are several explanations for. There are many positive/negative reasons for. There are some/more/fewer benefits/disadvantages to. The number of overweight children in developed countries is increasing. Some people think this due to problems such as the growing of number of fast food outlets. Others believe that parents are to blame for not looking after their children’s health. As you know, there are many ways to structure your essay, but we’ll use a structure that has been approved by many TOEFL examiners to be high-scoring and coherent. Nowadays the number of overweight people is constantly growing. This essay will discuss the main reasons of this epidemic and then describe the possible effects of the problem. In my opinion, the foremost causes of obesity are inactive lifestyle and unhealthy eating habits. Sentences 2-3 – describe the first cause. Assume that your examiner has no knowledge in this area and you have to explain all the details to him. Sentences 4-5 – describe the second cause. Don’t forget that it’s useful to give examples while describing causes! Moreover, the problem is accentuated by the growing number of people, who eat irregularly and consume large portions of high-calorie food. For example, about 50% of the adult population in Europe with so-called disordered eating suffer from obesity. The possible effects of this problem include physical health problems and loss of productivity. First of all, obesity results in incorrect functioning of the human body and contributes to the risk of developing some chronic illnesses. For example, as body fat percentage increases, the person’s metabolism worsens, which in turn may result in diabetes or heart diseases. Secondly, overweight people are very unhealthy and often suffer from stress and tiredness. This lessens their work capacity and results in lower productivity. For example, it has been proven that an obese person needs to put more effort to complete some task than a person with normal weight. SAMPLE ESSAY for the TOEFL WRITING TOPICS. Nowadays, developed countries are suffering due to high rates of obese young citizens. Some people believe that the boom of convenient restaurants and improper guidance of parents are the reasons that have affected the health of children. The convenient restaurants and processed foods are seen everywhere, especially in the prosperous countries, where almost all the people are amenable due to the accessibility, affordable prices and time saving for busy people. Some people are practicing their selves this way of life in order to lessen the burden of preparing of foods at home. For instance, because of my busy scheduled duties it is convenient and I prefer to eat in fast food restaurants so that I will not waste my time and energy preparing food at home. In addition to this, lack of knowledge of parents about the importance of proper food and neglecting their children causes their children’s health to get worse and for children to become obese in the society. For instance, my parents are giving us allowances to buy our food outside and that is why my sister turned obese. However others cannot stop the growth of convenient outlets because these are their livelihood and source of income. Moreover, parents cannot control the preferences of the children’s taste buds which make them eager to eat processed foods than nutritious foods. I therefore agree that fast food causes the citizens to depend on fast food because of accessibility, affordable prices and convenience to lessen the burden of preparing foods and also parents lack guidance about proper foods that result in their children becoming fat. People engage in a lot of distinct actions to preserve their health. What actions do you undertake to stay healthy? To substantiate your response, utilize precise motivations and instances.